The Psychotherapy of Unconscious Relational Patterns. This workshop follows Richard’s keynote speech and in essence becomes one workshop for participants of the conference. In this workshop Richard Erskine will describe how unconscious relational patterns and early disruptions in attachment form the core of a life script. 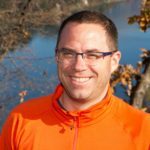 He will teach and demonstrate various therapy methods for working with physiological survival reactions, experiential conclusions, and explicit decisions. This workshop will be based on the trilogy of articles for which Dr. Erskine received the International Transactional Analysis Associaiton's Eric Berne Memorial Award in 2018 for the topic of "Unconscious Experience, Attachment Patterns, and Neuropsychological Research in the Psychotherapy of Life Scripts". 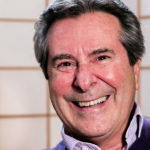 Richard G. Erskine, Ph.D., Training Director at the Institute for Integrative Psychotherapy, is a clinical psychologist with four decades of experience in the clinical practice and teaching of psychotherapy. He has specialized in the treatment of severely disturbed children, run a therapeutic community in a maximum security prison, and conducted a psychotherapy practice specializing in the treatment of obsession, dissociation, and schizoid processes. In 1972, as a professor at the University of Illinois, Dr. Erskine developed the initial concepts of Integrative Psychotherapy. By 1976 he established the Institute for Integrative Psychotherapy in New York City and, along with members of the Professional Development Seminars, continued the development, research and refinement of a relational and integrative psychotherapy. Each year Dr. Erskine teaches formal courses and experiential workshops on the theory and methods in several countries around the world. He is a licensed Psychoanalyst, certified Transactional Analyst, internationally recognized Gestalt Therapist, and a certified Group Psychotherapist. He is the author of five books and numerous articles on the practice of psychotherapy. Loneliness is often referred to as a disease of our time. associated with loss, increased numbers of people living alone, mental health difficulties and reduced physical well being. How does this manifest in the therapeutic relationship when there is an unconscious yearning for contact and the possibility of being ‘missed’ ? What does this demand of the therapist in terms of their experience and their level of compassion for self and other? How can true contact within the therapeutic relationship influence or change the experience of being lonely or alone for both therapist and client? Joanna Hewitt Evans, MA Gestalt Psychotherapist UKCP, EAIP Integrative Psychotherapist is a Supervisor and visiting trainer on psychotherapy training programmes in several countries in Europe. 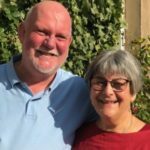 She was Co-director of EUROCPS, the European Centre for Psychotherapeutic Studies, which was founded by her husband Ken Evans, who died very suddenly in 2015, leaving a huge void in her life personally and professionally. 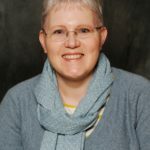 Joanna has presented at many conferences in Europe and has a particular interest in the links between shame, attachment, trauma, affect regulation and more recently loneliness and compassion and how these manifest in the therapeutic relationship. Kathleen Carroll is a Gestalt Therapist. She is also a qualified Social Work Practitioner and Integrative Counsellor. She has a private therapeutic practice in York and also works as a Child and Family Therapist. She delivers Training in a variety of organisations. She has previously presented conference workshops in Europe on theoretical areas such as attachment and affect regulation. Kathleen is interested particularly in the relationship with the self, inner life, and creative process and the impact this has on our capacity for growth. Let`s go to creative adventure of exploring new paths! Imagine yourself sitting on the beach, observing children how they are building their sand castles and enjoying. You see how big wave is approaching and it is obvious that it will ruin their creation. It actually happens and you are expecting tears, anger or giving up – but nothing of this happens (maybe just for a short period of time). It is time to go further – new sand castle few meters away from line of waves, this time with barricades in front of it… and when the sea becomes higher they are screaming to you: »Quick, take a picture of it, waves are coming!”. This is a simple example of hope, C.R. Snyder (2002) would say that this children`s hopeful thoughts reflect the belief that one can find pathways to desired goals and become motivated to use those pathways. And hope serves also to drive the emotions and well-being of those children. Hope is connected with early age development and many correlations with safe attachment have been identified. People with high hope can see more paths in their life and they can handle stuck positions or heavy situations better and are more realistic. Like children, building sand castles, they are not on the autopilot, but are able to see different options from here and now. They are focused on positive pay-off and are able to find support from other people even when time is really not pleasant. We think that creativity, imagination and play have a huge role in development of this attitude. But unfortunately because of many “waves” during our life we have lost a lot of contact with our playfulness. Creative techniques in psychotherapy process can help our clients to express themselves in safe way, they help them to find “words” for their inner states and situations. They build mentalisation, increase awareness and connect implicit and explicit memories into one narrative. For therapist creative techniques can be gentle, non-offensive way to open heavy topics and in the same time they can offer a place where two people enjoy their time together. - help to see and feel your inner resilience power. You will be invited to explore your own situations when you felt stucked. You will get support from your group colleagues, who will help you seeking for new options in creative way and you will be in supportive role too. You will have opportunity to share and discuss your experiences and ideas of using creative work at your job and every day life. We will look at creativity and co-creation as promoters of hope and meaning. Barbara Repinc Zupančič - my primary education is pedagogics and sociology of culture. Through my career, I worked in different roles in the field of social services (child and youth protection, domestic violence, preventive work with teenagers, drug abusers). I have had my own private psychotherapy practice since 2008. I have completed basic Transactional Analysis study (Psychotherapy) and I specialized in children and youth psychotherapy and psychotherapy of trauma, my interest is also existential psychotherapy. Main part of my clients consists of adult individuals. I am Integrative Supervisor and PTSTA (P), so I teach and supervise TA students in Slovenia and abroad. I like to work in a garden and I enjoy doing different crafts. 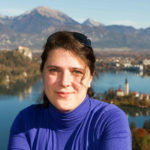 Marjan Zupančič – I am an integrative psychotherapy trainee. My primary university education is politology and management. I have been employed as army officer for 18 years, as combat unit commander, military school teacher and finally as doctrine development expert within Nato. I have completed academic part of psychotherapy study at IPSA Institute in Ljubljana, Slovenia. Currently I work in my own private practice to fulfil criteria, as requested by IIPA and EAP to become Certified Therapist. Together with colleagues, I have researched lying phenomena in psychotherapy, article is in final phase. I am enthusiastic photographer. Our life together has often been challenging. We have been foster parents in the past and now we are adoptive parents to two teenagers. We all like to ski, travel, mountain hike or simply watch TV together. Common taking care for dog and cat brings many additional pleasant moments to our life. This experiential workshop is an opportunity to use creative and relational approaches to explore the themes of the conference. Each individual participant can bring their own history of experience of wounding in relationships with self and others, offering opportunities to engage in depth through images and metaphors, memories and feelings, emotional communication, reflection and dialogue. The afternoon aims to support participants to enable exploration, promote discovery and encourage the integration of theoretical knowledge, personal process and professional practice. Each person can work at the level and depth that is comfortable for them and in accord with their own insights, perspectives and developmental needs. This workshop will encourage awareness, reflexivity and dialogue and no previous experience of the arts is necessary. Jocelyne Quennell is a humanistic and integrative, arts-based psychotherapist and drama therapist, former Principal of the Institute for Arts in Therapy and Education IATE and a Fellow of the United Kingdom Council for Psychotherapy UKCP. 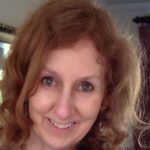 She has thirty years of experience working therapeutically with adults and children in health, education and social care in independent, statutory and charity sectors. She has always been committed to increasing access to therapeutic approaches, particularly for those suffering from adverse childhood experiences, young people, older people, families, communities and organisations with the challenges of equality, inclusivity and diversity at heart and in mind. 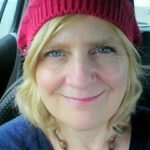 She has an MA in Jungian and Post-Jungian Studies and is inspired by the application of the arts in creative and relational approaches to wellbeing. She is currently the Director of the Wellbeing Faculty at IATE. within appropriate boundaries when our own ‘material’ is evoked in the intersubjective space between? In this workshop Julia will explore the intersubjective space between Client and Therapist when working compassionately. How is Empathy both helpful and insightful yet at the same time an ethical minefield? Looking to Neuroscience (Singer + Klimecki, 2014) we will discuss whether the Therapists Empathic ‘distress’ impedes the therapeutic alliance. Julia Tolley TSTA (P), CTA(P), UKCP Registered, BACP (Accred) Psychotherapist, Supervisor and Trainer. Julia lives and works in the West Midlands where she has a private practice of Clients and Supervisees. She is also a Primary Course Tutor and Supervisor for Manchester Institute for Psychotherapy. Julia has a background in Human Resources, particularly in the development of people and organisations. Her special interest in Psychotherapy is in the field of neuroscience, applying original developmental theory of ‘the self’ to emerging neuroscience material. As a member of the UKATA Exam Committee she has developed, along with a colleague, the Written Exam Marker Training material delivered to markers of the EATA Exams in Psychotherapy. As support Tutor/Supervisor for Birmingham City University, Julia has supported many students, from this University and many others, through the process of their Diplomas, BSc and MSc. Pete and Lydia have been co-facilitating group process, for over ten years. Throughout this time, we have become more and more interested in our here-and-now embodied, relational response both to each other and towards members of the group. We are committed to creating a safe, holding and shame-free space within which we invite you to explore aspects of compassion and heartlessness, hope and despair, love and hatred. The workshop will contain experiential exercises, exploration of the between, there will also be opportunity for individual work as it arises. 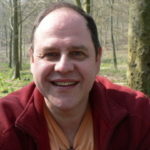 Pete Lavender is a director of the Scarborough Counselling & Psychotherapy Training Institute (SCPTI) where he wrote and teaches the Relationally-Centred Psychotherapeutic Counselling course. He is also a supervisor and has 30 years’ experience working with clients in both private and general practice in the NHS. His areas of special interest are in working with the relationship in therapy, attachment and personality styles. Lydia Noor is an integrative psychotherapist, supervisor and trainer working in the East Riding of Yorkshire. Lydia is a director of SCPTI where she teaches the Diploma in Relational Integrative Psychotherapy. Lydia worked in schools for over 40 years as a teacher, senior leader and psychotherapist and is involved with developing national training standards in Therapeutic Wellbeing Practice, for working with children, young people and their families. Her particular interest is the embodied, relational expression of shame within the therapeutic and learning relationship. As humans we are fallible, committing acts and omissions that can leave us feeling burdened with guilt or shame: we may feel’ bad’ when we have done something ‘wrong’ that is unacceptable. Yet a degree of guilt or shame can be healthy; when tempered by compassion and remorse this prompts us towards positive change through adopting pro -social behaviour or assuming appropriate responsibility. Taken to excess however guilt or shame can be paralysing and harmful; for some internalised destructive feelings of self-condemnation lead to depression, eating disorders, substance abuse, self-harm or suicide. Self -forgiveness is crucial for psychological health and wellbeing. It is an act of humility, not of self-indulgence. It involves an honest appraisal of our capacity to cause harm as well as our potential to do well. Forgiving requires a willingness to acknowledge guilty feelings, to own up, make amends and find empathy for those we have wronged and for ourselves. When we can do so we may move on with grace, resuming seeking our desires whilst taking care of ourselves- body and soul. In unpicking these experiences we seek to repair that which has been ruptured and to restore relationship, treating both parties as ‘Thou’ in the Buberian sense, instead of demonising or blaming one or other. First we will explore areas of our stuckness around forgiving ourselves with the aid of arts media and a group process. In part two participants are invited to experiment with making Haiku poems about forgiveness working solo or in threes. In the final third part the group will take part in a short audio ‘sound bath’ with a focus on letting go, relaxation and healing. Jon Blend MA Dip Psych, Dip Child (UKCP& ECP reg.) CQSW is a relational gestalt psychotherapist; clinical supervisor and Lifemusic practitioner. He has worked extensively with adults, children and families in hospital and community based mental health settings, also in private practice ( London W3). Jon teaches arts-based approaches to psychotherapy at The Gestalt Centre London, Gestalt Centre Wales, Manchester Gestalt Centre and elsewhere. He is a tutoring member of the Violet Solomon Oaklander Foundation and a mentor for BASE Baby Watching UK- an Attachment- based schools project. Jon recently taught on shame and forgiveness at Gestalt Education Centre, Rzeszów, Poland where he is visiting tutor. He has a particular interest in trans-generational trauma and diaspora issues. Ethics are not just remote, detached, philosophical principles enshrined in professional codes. Ethics are all about us, intricately worked into the personal and professional values which shape our work and give it meaning. ‘Relational ethics’ sees ethics in terms of relationship rather than directives. What’s in the client’s interests and risks of harm depend on the meanings in the situation. A therapist who asks lots of questions could be seen as invasive or genuinely interested. If a therapist encourages a client to do more self-care, it might be viewed as caring or critically blaming. The holding of a time boundary may feel safe or harsh. A therapeutic challenge issued to a client could be in their interests and feel uncomfortable simultaneously; one client might feel stimulated by it, another threatened. The sheer messiness, uncertainty and complexity of practice defy easy answers; there are no clear-cut ethical recipes. When we add in the emotional assault of people’s past traumas and the roller coaster demands of the therapeutic process, relational ethics are invariably tough to negotiate. In this workshop we will explore reflexively the challenging relational ethics involved in every moment of our practice. Reflecting (with sensitivity and respect) on dilemmas we routinely face, we’ll discuss how to marry professional standards with our own personal values and relational concerns. The role played by compassion, hope and forgiveness – the conference themes - within relational ethics will be foregrounded. 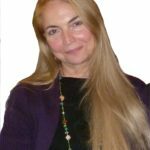 Dr Linda Finlay is an existentially-orientated relational Integrative Psychotherapist and Supervisor in private practice in York. She also teaches psychology, counselling and research methodology at the Open University, and she mentors students doing doctoral research in institutes across Europe. She has published widely - See: www.lindafinlay.co.uk. Her most recent books are: ‘Practical Ethics in Counselling and Psychotherapy: A relational approach’ published by Sage and ‘Relational integrative psychotherapy’, published by Wiley. She is currently Editor of the European Journal for Qualitative Research in Psychotherapy.